Your brand may have throngs of fans and followers — people who “Like” or “Follow” a particular page or account. While these metrics are certainly important, they don't always equate to obvious value for your brand. The followers who are so passionate that they're creating branded content and advocating for you are the ones to focus on. Advocates are one of the best, most cost effective ways to drive business, hands down. Advocates are users with a true connection, passion and commitment to a particular brand or product. 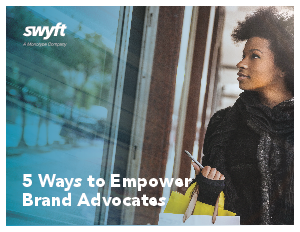 Advocates drive action, not just awareness, and unlike paid advertisers, they advocate because they want to. The second a customer becomes so invested in your brand that they share the love with their networks, they become your best marketer. Download now to find out more!